Afghanistan is the lower ranked team in ODI and according to the ICC, they are now standing on the 10th position. But truly they are one of the dangerous opponent for any teams. They have regularity than most of the teams and then Pakistan obviously. But Pakistan has experience to win World Cup and also they are standing on the 5th position considering ODI ranking of ICC. This two teams faced against each other in the 2nd playoff match in Asia Cup 2018. In the match, Afghanistan faced defeat by 3 wickets against Pakistan. Pakistan had to play 49.3 over to get the victory. It was not so easy for them at all. 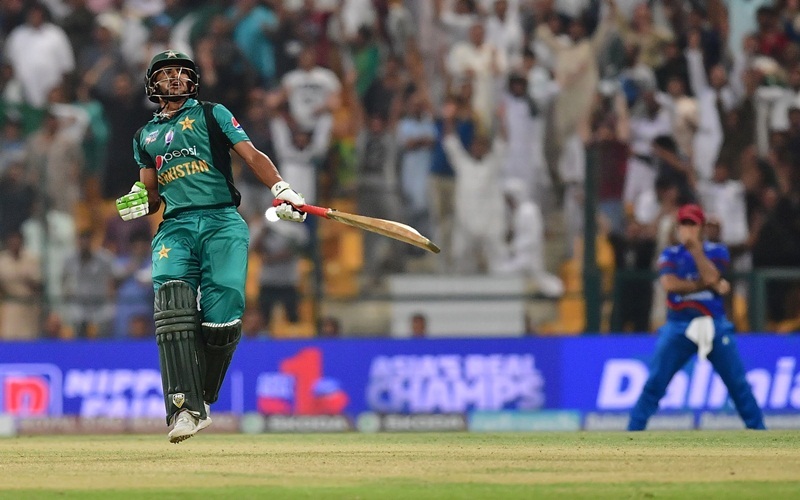 In 21st September, 2018 the 2nd Super Four match was executed at Sheikh Zayed Cricket Stadium, Abu Dhabi where for Pakistan, Shaheen Afridi made his ODI debut. Afghanistan won the toss and like before they decided to bat first. Came to bat, team Afghan scored 257 runs in exchange for 6 wickets in 50 overs. Team Pakistan chased the score quite successfully though it was not so easy for them. They had to play 49.3 overs and finished the chase. They lost seven wickets in the meantime. Team Afghanistan has become quite strong in recent time and they have regularity. They used to score almost 250 runs regularly and fight till the last. Hopefully within short time, they will become a superpower cricket team in the World. Earlier, they beat Sri Lanka and Bangladesh in the group stage and as the group champion, they qualified for the Super Four. Though, the Tigers did not use their best eleven against the Afghan team. Mohammad Shahzad and Ihsanullah started to bat for the Afghan team at the beginning. They added 26 runs when Ihsanullah was gone. He scored 10 runs only. Just five runs later, Mohammad Shahzad was gone as well. He scored 20 runs so far. Rahmat Shah and Hashmatullah Shahidi made a partnership that added more than 60 runs. Rahmat Shah scored 36 runs. Later, Shahidi made another partnership with captain Asghar and they jointly added another 90 runs. Asghar was gone scoring 67 runs. Shahidi remained not out till the last and scored 97 runs. He missed century unfortunately. At the end of fifty overs, team Afghanistan scored 257 runs by losing six wickets. Mohammad Nawaz took three wickets and Afridi took two wickets so far for Pakistan team. Imam and Babar made a partnership that added 154 runs when Imama was gone scoring 80 runs. Babar added 66 more runs and Shoaib Malik remained not out with 51 runs so far. In 49.3 overs team Pakistan reached the destination.